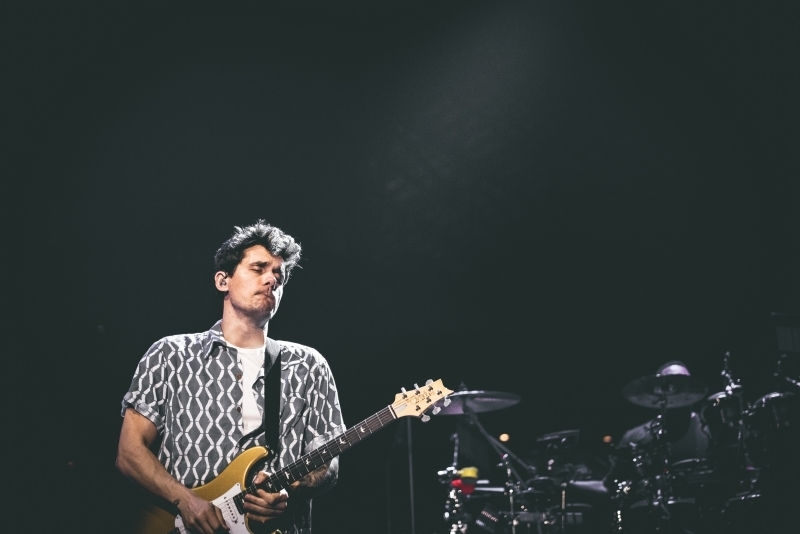 18 years after the release of “No Such Thing”, Singapore finally heard a live version of the song by seven-time Grammy award winner, John Mayer, at the Singapore Indoor Stadium on 1 April 2019. 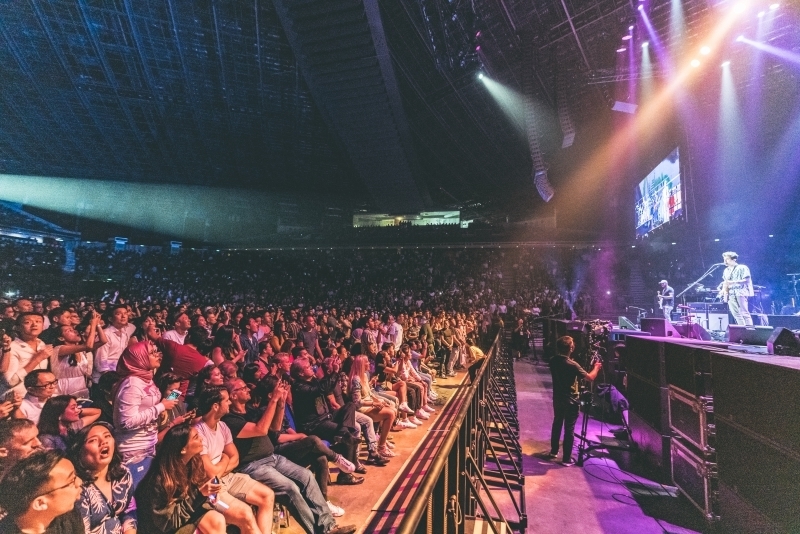 The Singapore arena performance, organised by Live Nation Singapore, was the fifth stop of Mayer’s Australia & Asia tour and his first stop in Asia. Given that this was the first appearance by the beyond-accomplished singer-songwriter, guitarist and producer who recently pushed past forty, one might have expected ostentatious projections on the screens, and a costume change which included sweatpants, at some point in time. But we were wrong. Instead of all that, the 10,420-strong audience was treated to a performance worthy of the history books. Featuring raw talent and a powerful chemistry on-stage with a spell-binding 8-piece band that featured the masterful Pino Palladino on bass, and David Ryan Harris and Isaiah Sharkey on guitars, Mayer’s electrifying showmanship made the night all about the music that has captured the hearts of millions over the last 20 years. 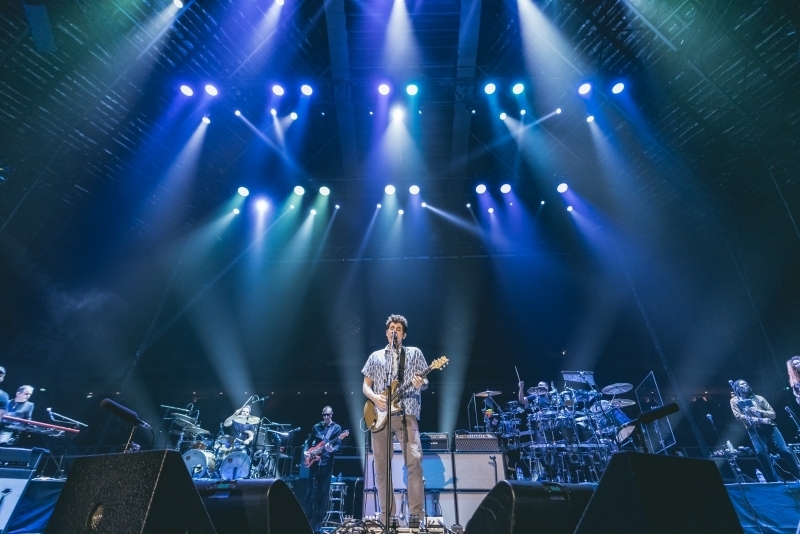 Even with the pre-concert preparation of watching videos and listening to track after track of “Where The Light Is” and other live recordings, nothing quite prepares you for the musical extravaganza of each and every song that Mayer and his band perform wholly and exquisitely. 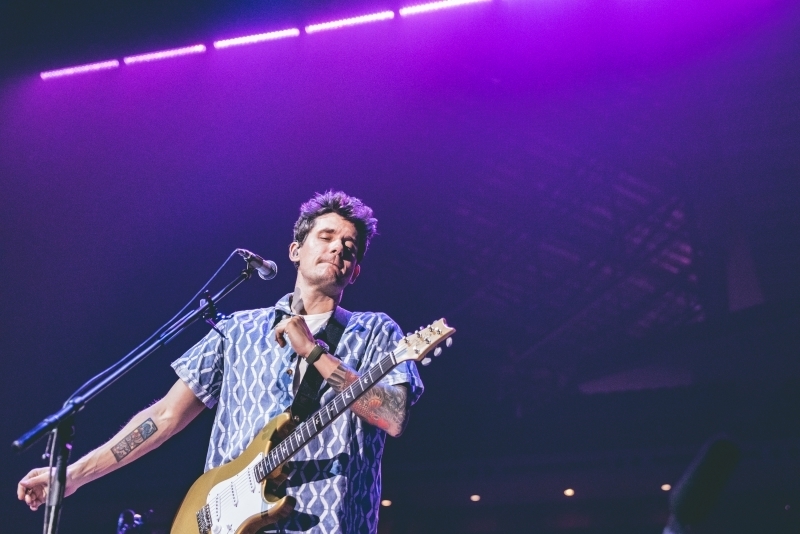 Across a setlist of 24 songs, Mayer made it clear that there was no pattern to follow that night. He manoeuvred through new and classic material, and blended them into an indescribable aural experience that took our senses on a sublime journey. To start, he had gone through the years in a span of five songs, starting with ‘Helpless’, switching to ‘New Light’, which got the crowd ecstatically grooving, hitting home with bluesy classic ‘I Don’t Trust Myself (with Loving You)’, and finally shifting gears into country with ‘Something Like Olivia’ and ‘Paper Doll’. Other crowd favourites in the first set were ‘Love on the Weekend’, ‘No Such Thing’ and ‘Heartbreak Warfare’. The second set rolled out stronger, starting with four acoustic songs including ‘Your Body is a Wonderland’, and the widely-popular cover of Tom Petty’s ‘Free Falling’. Mayer also made an effort to mention Singapore in the lyrics of ‘Who Says’ before ending with the upbeat ‘Still Feel Like Your Man’. Standout performances included 'Slow Dancing in a Burning Room’ which Harris led with a soul-aching vocal solo, and the encore performance of ‘Gravity’, a nine minute production with the outstanding voices of backup singers Tiffany Palmer and Carlos Ricketts, and incredible guitar work by Mayer. Despite the heavy line-up in Mayer’s music arsenal for the night, he took time to address the obvious signboard in the room: “John can I come up & play guitar with u?” Gingerly, Mayer replied that he would not be doing that although he wanted to acknowledge the signboard so that the fan could rest his arms and everyone, including those around and behind him, could enjoy the show fully. In the decade or so that it took Mayer to perform in Singapore and admit “you were right about Singapore and how much we would love it”, artist fads and fancies have come and gone. 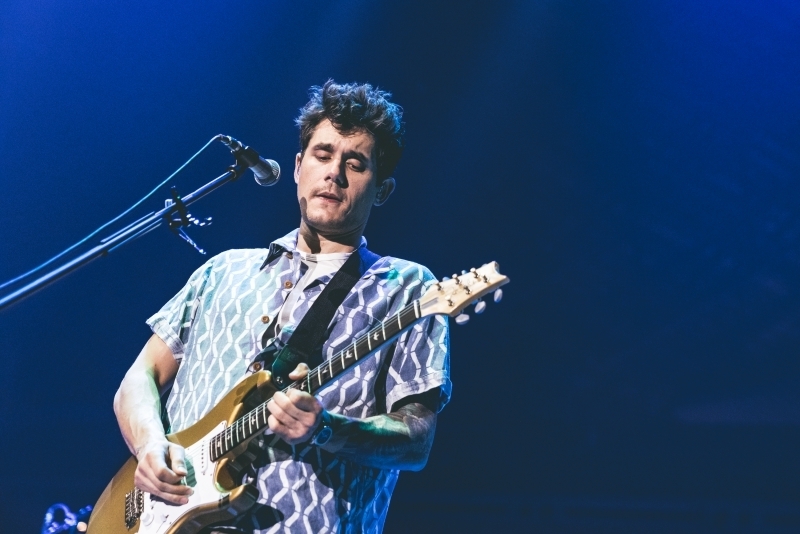 But with fans of John Mayer in Singapore, one thing’s for sure – they’re not done changing.